Choose either counties or cities for removals by area in Wales and choose a removal company. 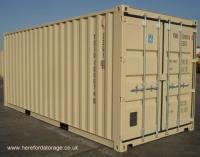 Alarmed & Secure Warehouse Full House Removals Overseas Removals Self Storage Facility Full Packing Service Modern Containerised Storage. This directory of removal companies in Wales features companies that offer removals across the world and cover all areas of Wales including Swansea and Cardiff and the various counties in the north Wales, mid Wales and south Wales. If you require a quote, please contact them by clicking on their ad and filling out the form or ring them directly. They offer domestic removals in Wales and business office removals including packing services and moves to London, Manchester, Birmingham and worldwide! This is a list of some of the removal companies we have on our website and our network for removal quotes throughout Wales and the UK direct to your inbox or computer. Welsh removal companies offer great services to you in regards removals within Wales and the UK and offer European or rest of the world relocations. They have a comprehensive range of vehicles as well as friendly, experienced staff and drivers. The particular Welsh removal companies in this area strive to please you the customer and also offer great storage solutions if needed. Most movers supply a broad range of removal services such as packing your items for transport that includes protecting your furniture appropriately with bubble wrap etc. 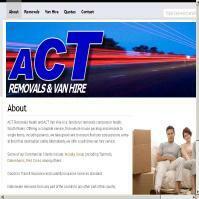 For part removals or light furniture removal these companies can quote by the cubic feet for storage and removals. Whether its your garage contents, small apartment / flat removals or dismantling your beds and furniture for removing the Welsh removals companies are there to help you.